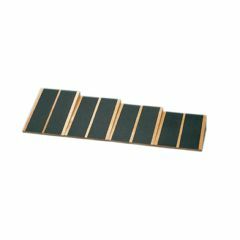 AllegroMedical.com presents The Incline Board - Wooden - 4 Boards: 15, 20, 25, 30 Degree Elevation - 16.25 X 15 Inch Surface. Incline boards are used to increase extension in the lower and upper back while stretching the calves. Boards have non-skid top.